Do you dedicate resources to analyzing payment accuracy? 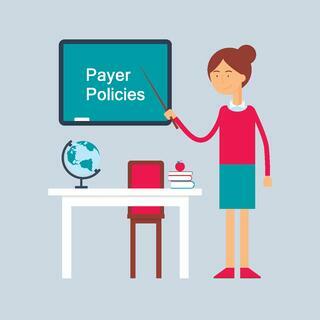 Lots of practices don’t – and are putting too much faith in payers to reimburse in full on every claim they complete. Assuming payer accuracy is a recipe for revenue loss. Underpayments are more common than you think, and it’s easy for denials to slip through the cracks when you lack a strategy for analyzing claims at large. If you don’t spot a problem in your reimbursements early on, it may recur unnecessarily – leading to excess losses. A few extra measures around the office can go a long way to enhancing your revenue performance and stay profitable in the long run. Check out our tips below, or consider partnering with a trusted medical billing service for a more robust (and reliable) approach. Take a look at your practice’s top 10 codes by volume per payer per month for the last six months. Compared to your payer contracts, are the reimbursements accurate? Which payers are deviating from set rates? Are the under- or overpayments happening consistently, or sporadically? Is a certain provider in your office affected more frequently than another? Ideally, you won’t find any of these issues. But when you look at six months of data, any payment gaps should show themselves quickly. If you spot them, you’re wise to invest in using contract management software to identify these trends automatically and provide analytics on performance over time. Armed with insights into where over- or underpayments are taking place, you can take steps to resolve the problems. Start by looking for the source: Are you making mistakes internally – say, by leaving off modifiers (or other coding mistakes)? Or are payers going rogue despite your own office’s accuracy? This issue is especially important to investigate every January. A common reason for inaccurate reimbursement is fee schedule misalignment: Practices often lose a lot of money early in the year, when payers have yet to update their systems with new codes and updated relative value units (RVUs). Invest in scrubbing claims prior to submittal to ensure you’ve coded them properly. Keep the lines of communication open with your payer contacts to make sure contractual rates are paid. And in the instance of any underpayment – your fault, or the payer’s – follow up, fix the claim, resubmit, and get every dollar you’re owed. Because unless you’re applying resources to reimbursement accuracy, you put your profitability at risk.